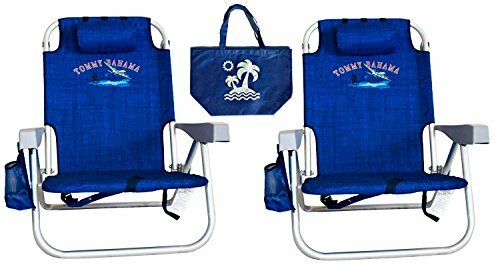 Tommy Bahama Backpack Cooler Chair with Storage Pouch and Towel Bar is one of the finest specimens of modern beach chair and camping chair. This is one of the best equipped chairs available in market that you can carry easily with plenty of arrangements to keep you happy and relaxed. 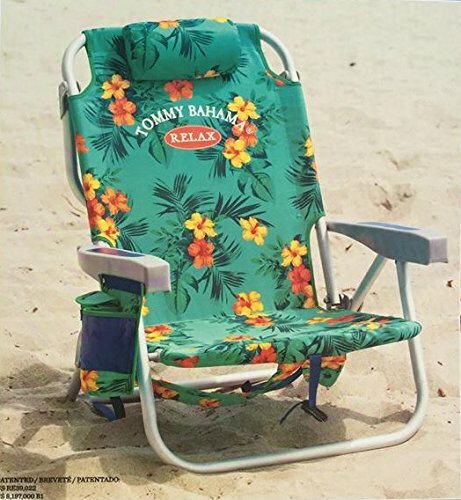 If you are planning to purchase a beach chair at reasonable price range, Tommy Bahama Backpack Cooler Chair is perhaps one of the best options available in market. But don’t go over trust: let’s check out the features of this handy and utility smart chair so that you can decide yourself if it suits your taste or not. Regardless it is beach leisure, or fun moments in camping, you will prefer to relax and unwind at the best. Besides friendly ambiance and good weather, your chair serves a lot for offering you perfect balance of sitting and comfort of your body. So you will expect portability and durability from the chair you will buy for sure. Let’s close view the features of this good looking beach chair. Tommy Bahama Backpack Cooler Chair with Storage Pouch and Towel Bar is made with durable components and that is why it is worth investment. Made of aluminum tube, the chair is rust proof which ensures its long service life. It can carry up to 300 pounds of weight, which is quite extensive even if you are a little plus size. The laid back portion of the beach chair is made of 600D polyester and that is wrinkle-free and wash-friendly, so there is no hassle of maintaining its cleanliness. Ergonomic sitting facility is the prime USP of this relaxing beach chair. Furthermore, the chair can be adjusted in 5 sitting style, which will surely enhance your comfort level if you want to enjoy your beach sunbathing for long. The headrest is adjustable and the chair comes with different storage compartments one of which is insulated, just perfect for keeping your frozen beverages in just chilled condition. The chair is built with special drink holder and mobile holder for ultimate comfort in your outdoor relaxation under the sun. Tommy Bahama Backpack Cooler Chair with Storage Pouch and Towel Bar is quite user friendly a chair but let us compare with two more similar items in market so that we can understand the better point of this chair. Let’s compare it to Rio Brand Lace up Aluminum Backpack Chair and Deluxe Rio Aluminum Backpack Chair with Large Storage Pouch. All three variants are made with light weight aluminum rust free material but Tommy Bahama chair offers carrying capacity up to 300 pounds whereas rest two chairs offer carrying capacity up to 240 and 250 pounds, respectively. The higher carrying capacity is a better choice always. Tommy Bahama Backpack Cooler Chair comes with different color variants, which is a great advantage for your choice altogether. Two other models are not available with color variants. Tommy Bahama chair comes with insulated storage whereas rest other two variants are not built with the privilege of insulated storage, which is definitely an advantage for Tommy Bahama Backpack beach chair. Towel bar is there in Tommy Bahama but other two variants of beach chair dies not have the same. Ergonomic sitting facility of Tommy Bahama chair deserves special mention. While it can be adjusted in 5 different postures, rest two variants come with 4 sitting postures. With all the features compared, it can be clearly anticipated that Tommy Bahama Backpack Cooler Chair with Storage Pouch and Towel Bar is a better purchase option. 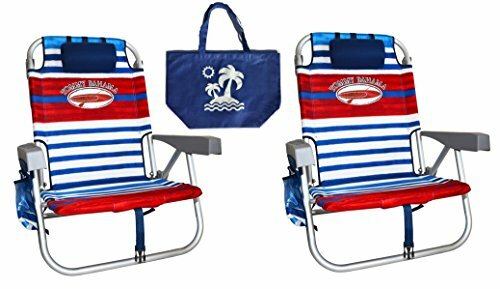 So if you are to buy your versatile beach chair, don’t just forget Tommy Bahama Backpack Cooler Chair with Storage Pouch and Towel Bar! It’s a worthy investment that you will be a proud owner of, and you will surely rock!